XIAMEN SINOFROST co.,ltd is located in Xiamen City, Fujian Province,P.R. China. 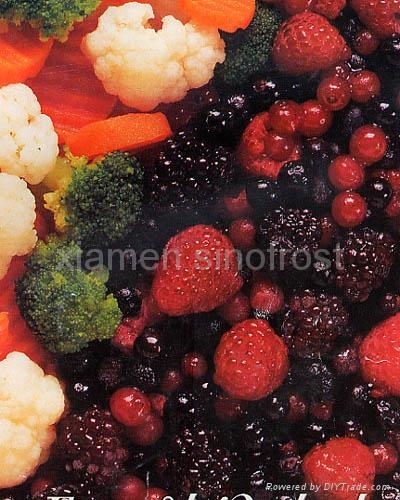 Our company was established in 2004 but the management team has started the export business of frozen vegetables,fruit,berries & mushrooms since 1995. Thanks to the firm and friendly supports from our respectful clients and suppliers,our company has been growing steadily every year. Today XIAMEN SINOFROST co.,ltd is well-known as a very reliable professional supplier of the good quality foodstuff in China. We have the rich experience about more than 100 different kinds of products and the different markets all over the world . Our clients from the different countries are enjoying the happy and successful long-term cooperations with us. We have set up the long-term and very friendly cooperation relationships with more than 60 serious major producers in more than 10 provinces in China. Therefore,when we receive the orders from our clients,we are always able to select the most suitable suppliers to produce and pack for us according to their advantages. Our very good relationship with the strong and reliable producers in the different provinces enables us to get enough good quality supply sources anytime anywhere to fulfill our contracts for our clients from all over the world successfully. For every shipment,our well-trained QC (Quality Control) people are always working closely with the suppliers producers to supervise everything strictly "from the farms to the containers " to satisfy our clients' individual requirements. To assure the food safety,we source only from the "Audited & Approved " Suppliers who really have implemented the strict Foods Safety Systems. Now all of our supplier producers must have the ISO,HACCP, BRC certificates. Most of them should also have the AIB,IFS,KOSHER,HALAL and other third party certificates. Our goal is to provide our customers with the highest quality food products available, with the finest professional service and with the most competitive pricing. Source from China,Ship to World!